Poutine: It’s Not a Dirty Word. Well, Maybe. I traveled to Montreal this year for the first time. Several friends had told me that it was their favorite city in the world, so I decided to take a vacation day and check it out. 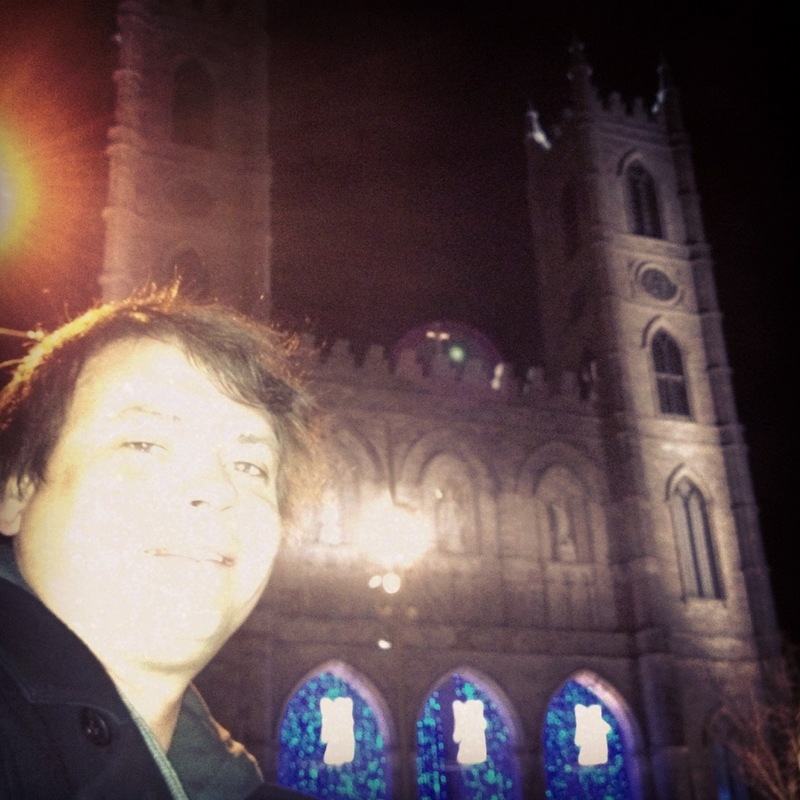 What I didn’t consider is that my trip was in January and Montreal is freaking cold! Since I was battling negative temperatures, and all of the wonderful patios were closed, I had to search to find a way to truly experience Montreal. In comes poutine. Let’s face it, poutine sounds like a dirty word no matter how you use it. After tasting it, I might make an argument that it is, but I’ll get to that in a moment. Poutine is basically the provincial dish of Quebec. It contains three simple ingredients: French fries, cheese curds and gravy. It is known as a comfort food, finding its roots in rural Quebec during recessionary times when families couldn’t afford finer ingredients. Today, poutine is available across Canada in small diners, pubs and even fast food restaurants like McDonald’s, A&W and Burger King. Since I was in Montreal, the heart of poutine country, I decided to give the dish a shot. I tried to order it at Les 3 Brasseurs (The 3 Brewers) pub in old town, but the bar tender talked me out of it. 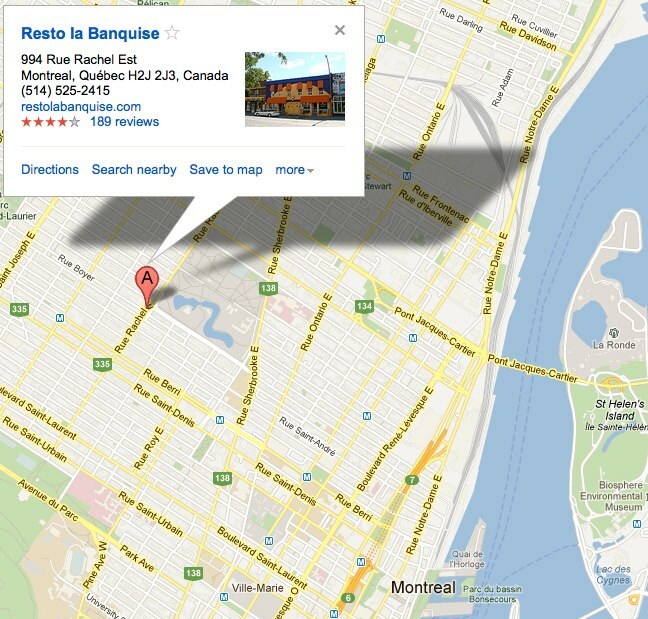 Instead, she recommended a café a few miles away that is known for having the best poutine in Montreal: Resto la Banquise. I accepted her recommendation and made plans to eat lunch there the following day. When I arrived at Resto la Banquise, I was pleased to find a little café with plenty of charm. I seated myself and was presented with a long, narrow menu. 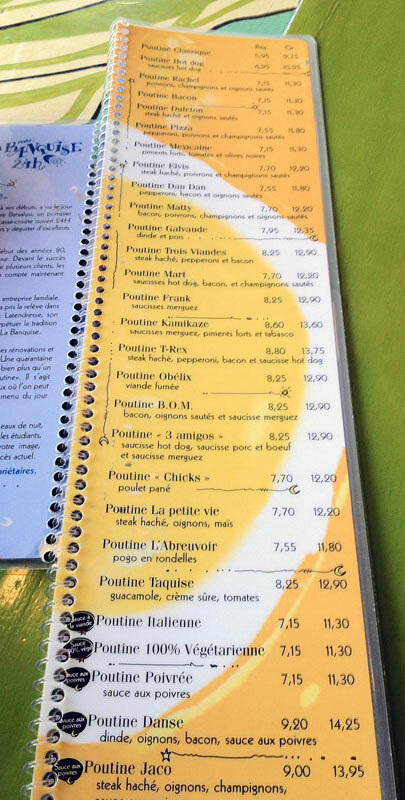 I was blown away by the sheer number of different poutine dishes they offered. There were around 30 options with names like Poutine T-Rex, Poutine Kamikaze, Poutine Dan Dan and Poutine Bacon (which was very tempting.) I honestly didn’t know where to start, so I asked my waitress what she recommended. 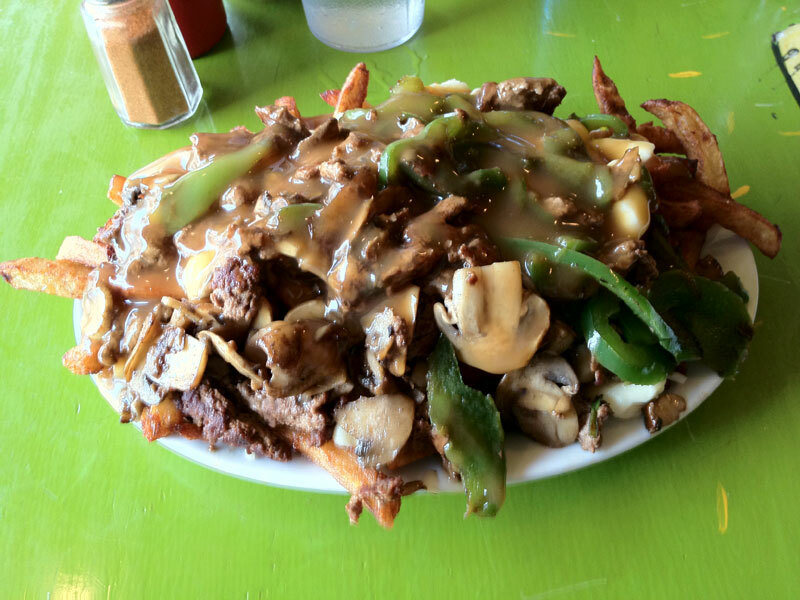 Her confident answer was the Poutine Elvis, which featured ground beef, green peppers and mushrooms. I confirmed that would work and she put in the order. When my Poutine Elvis arrived, I was shocked by how it was presented. It looked like a heart attack on a plate (some of the heart attack was actually dripping off of the plate onto the table.) I decided to set my concern aside. 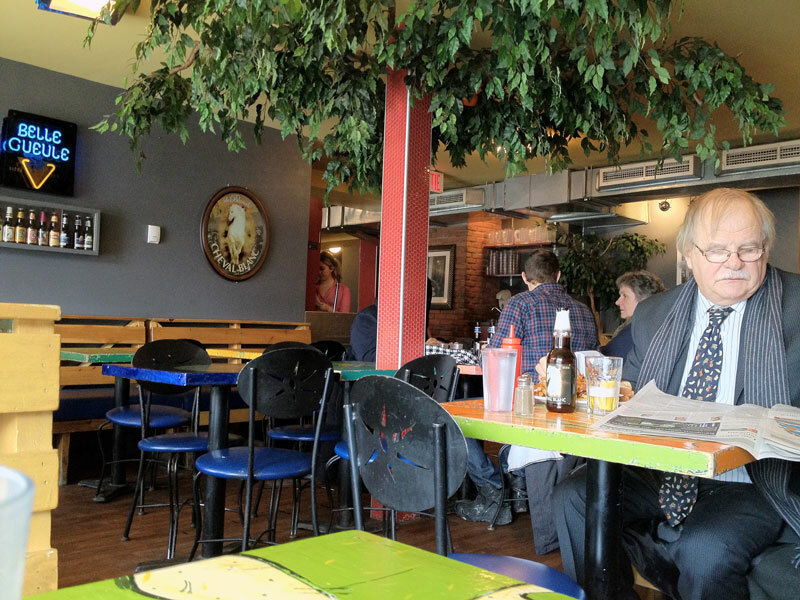 After all, poutine is a famous dish for a reason and a lady who works here, at this famous poutine restaurant, says that this is the best they have. Well…my first bite told a different story. It tasted about like it looked: overly rich, fatty, salty and generally unhealthy. I’m a guy who can live on cheese fries, but the gravy and goo was just too much. I ate as much as I could stomach, then headed down the street for a McDonald’s cheeseburger, which suddenly seemed like health food. On my next trip to Montreal, I believe I’ll steer clear of the poutine and enjoy dishes that are a little more familiar. If you’re a brave soul, I do recommend Resto la Banquise, as the atmosphere is nice and there are plenty of heart attack options to choose from. 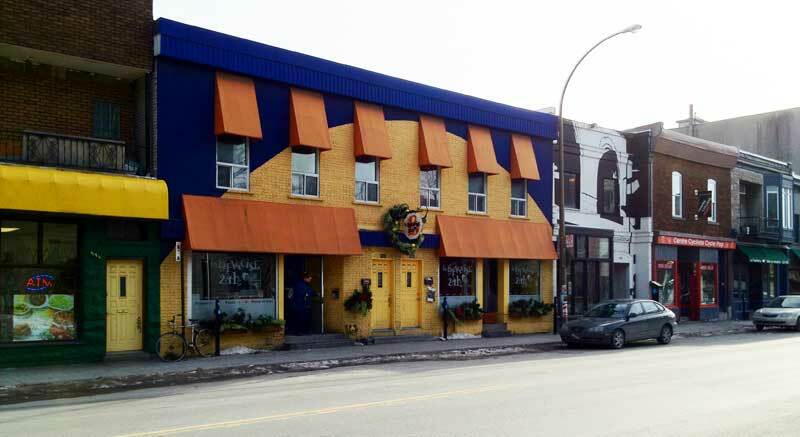 This entry was posted in Food and Dining and tagged cafe, canada, dining, food, grub, montreal, Poutine. Bookmark the permalink. 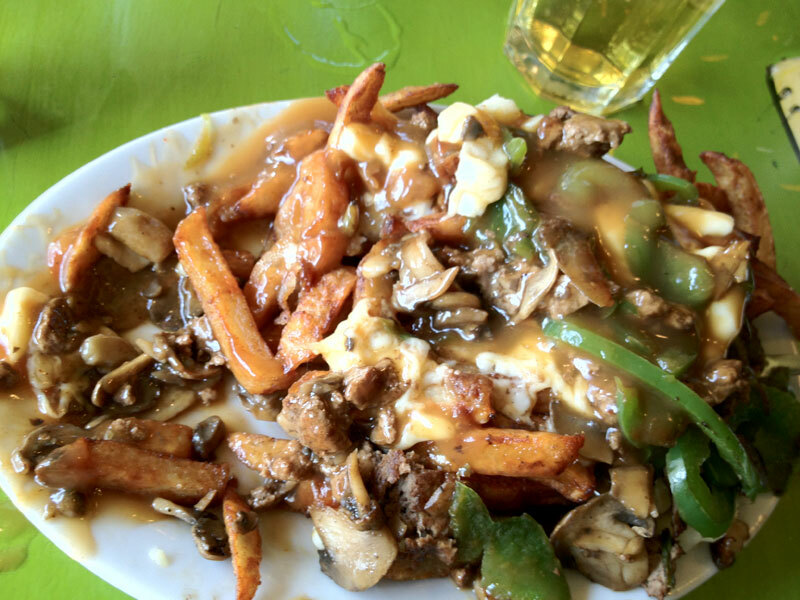 8 Responses to Poutine: It’s Not a Dirty Word. Well, Maybe. 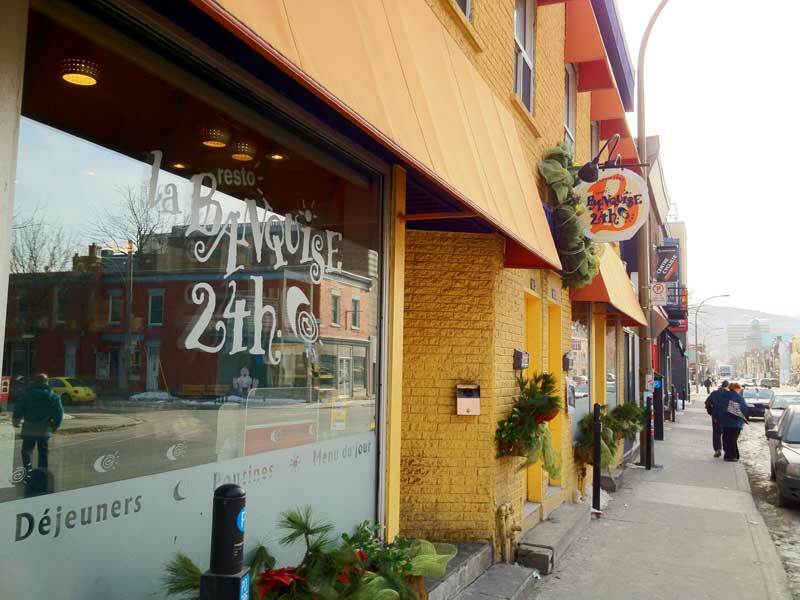 If I may recommand, you should still try a Poutine on your next trip in Montreal, but a traditionnal one with only fries, cheese curds and gravy, and not at La Banquise. It is famous for poutines, but most local will tell you that this restaurant is at his best at 3 am completely drunk. I’m Canadian, been living in the US for 12 years. What you had was not Poutine, but a gourmet (overloaded) version of it. Poutine is simply, fries, cheese curds and gravy made well. This place sounded like a tourist trap! Yes, I agree with Tarz, that was not a poutine you tried. Back to basics! I can’t stand all the “versions” of poutine. Agreed! I never heard of Poutine until I went to Boston last weekend. I needed to have some because how could fries, cheese, and gravy be bad together?! But it was awkward ordering it (Putin? Like pout-in? poo-tin? ), and I didn’t love the taste of it. Also, I later had a huge stomach ache, not sure if it was the Poutine, but I think I’m going to blame the Poutine instead of the delicious sandwich I had! I love Poutine, but just plain old cheese curds, gravy and fries. The fancy stuff just ruins it. If you want a real poutine go to “La belle province” or “Le petit quebec” and order a regular one. That’s the true poutine right there. If the cheese is grated, put it in the garbage. If the cheese arrives completely melted, put it in the garbage. I had poutine in Paris at The Moose ( http://www.mooseparis.com/fr/bar-canadien-paris ) While it didn’t quite change my life, it sure was a pleasant return to “normalcy” after being presented with a toy football sized calamari at a (different) fine dining restaurant. If you’re in Paris, and feel over-saturated with “culture”, head to the Moose for a dose of N. America!